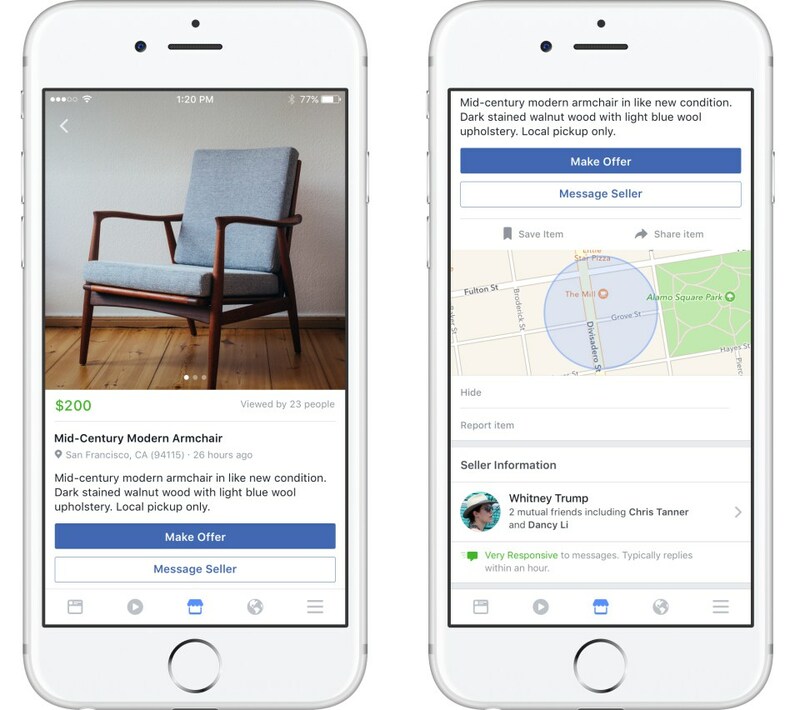 Facebook recently launched Facebook Marketplace to allow users to buy and sell items from each other on Facebook. Facebook is where people connect, and in recent years more people have been using Facebook to connect in another way: buying and selling with each other. This activity started in Facebook Groups and has grown substantially. More than 450 million people visit buy and sell groups each month — from families in a local neighborhood to collectors around the world. To help people make more of these connections, today we’re introducing Marketplace, a convenient destination to discover, buy and sell items with people in your community. Marketplace makes it easy to find new things you’ll love, and find a new home for the things you’re ready to part with. We’ll continue to build new options and features to make this the best experience for people. Now anyone looking in your area can find your item and message you if they want to buy it. You can also choose to post to Marketplace and a specific buy and sell group at the same time. To keep track of all of your current and past transactions in Marketplace, visit the Your Items section. There, you can view your saved items, products you’ve posted for sale, and all your messages with people. 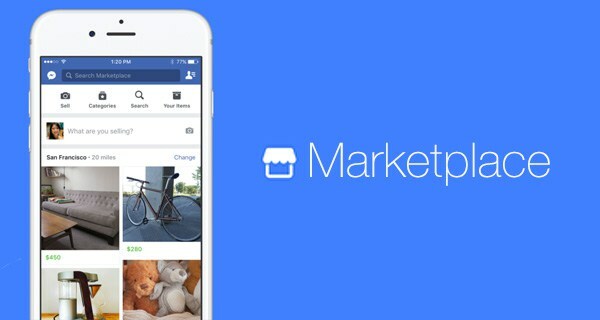 To find items or products to buy on Facebook Marketplace, tap on the shop icon at the bottom of the Facebook app. 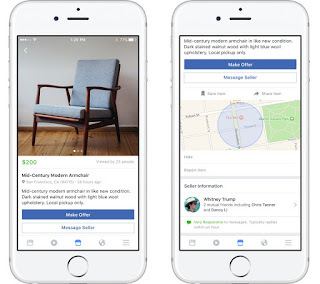 Facebook Marketplace will open with photos of items that people near you have listed for sale. You can use search at the top to find something specific, and filter your results by location, category or price. You can also browse what’s available in a variety of categories such as Household, Electronics and Apparel. Use the built-in location tool to adjust the region you’re looking in, or switch to a different city altogether. When you find something interesting, tap on the image to see more details from the seller, including a product description, the name and profile photo of the seller, and their general location. You can also save the item to find it later. If you find what you want,send the seller a direct message from Marketplace to tell them you’re interested and make an offer. From that point on, you and the seller can work out the details in any way you choose. Facebook does not facilitate the payment or delivery of items in Marketplace. Facebook Marketplace is currently available to everyone over 18 years old in four Countries (US, UK, Australia, and New Zealand), with more to come. It is on the Facebook app for iPhone and Android. is it possible to access Marketplace without using the elusive SHOP Icon? I cannot find such an entity on my Desktop using Firefox to access Facebook, or my Facebook App on my Galaxy S8. I have enlisted friends to help that are on Facebook, but they can't believe their eyes when they can see it on their phone, but not mine.